1. Click on the Chat link on the course page in Moodle. 2. Click either one of the links on the page that opens. The two links will bring you to the same chat room, however the only difference will be the interface used. 3. A chat dialogue box will pop open. Chat participants are displayed on the right side. Enter text into the text box at the bottom of the window and click Send to add the message to the chat. When a student enters the chat, they can only see messages typed after they have entered, not before within the chat window. 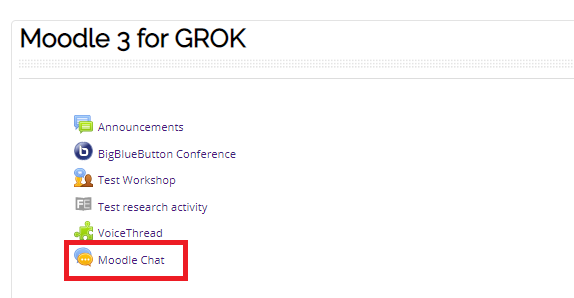 However, when they select the chat from the course home page, there is an option to "view past chat sessions". 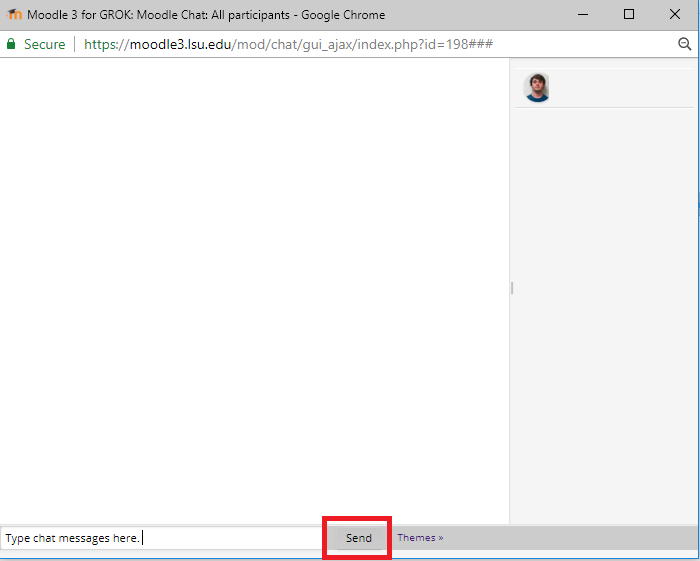 If students select that link, and then "see this session" to the right, they are provided a transcript of everything that was typed before they entered the chat window.